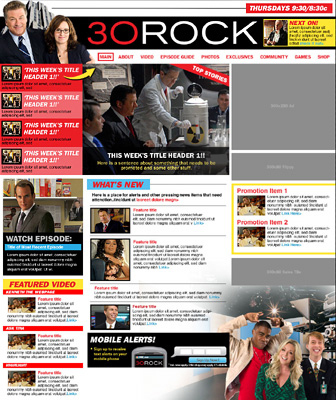 This is an interface I art directed for 30 Rock. This is a project that is still in development. 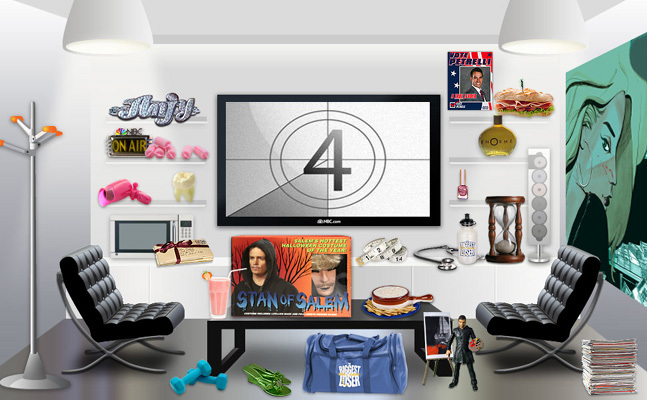 MY part was illustrating and designing a prize room for game points accrued from the NBC.com games. 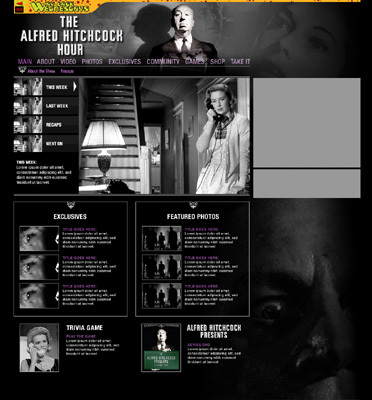 This site I art directed featured full episodes from the show. The site is now gone but you can click on the image above to view full episodes! 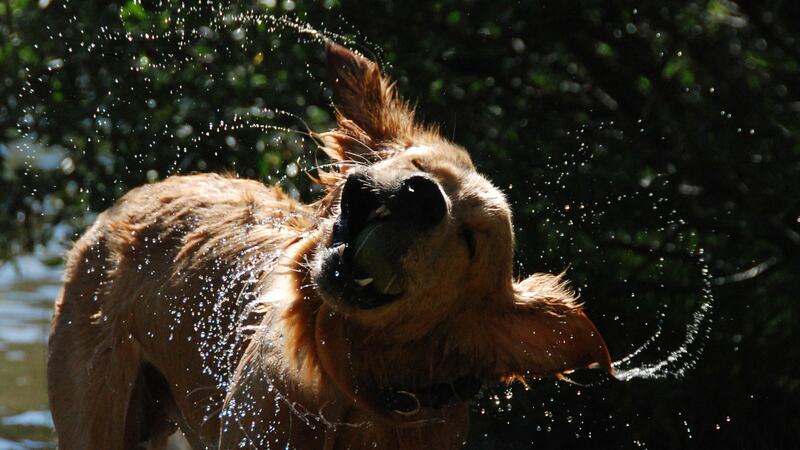 This is a splash movie site I art directed. 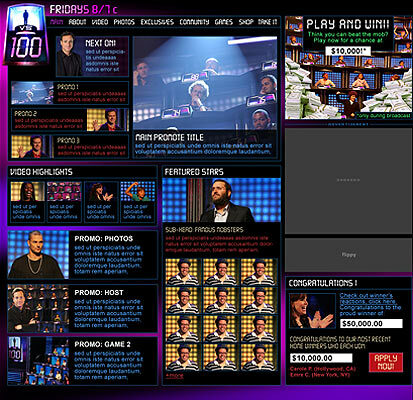 This is a site I art directed for the Biggest Loser. This is a site I art directed featuring the presence of NBC at Comic-Con. 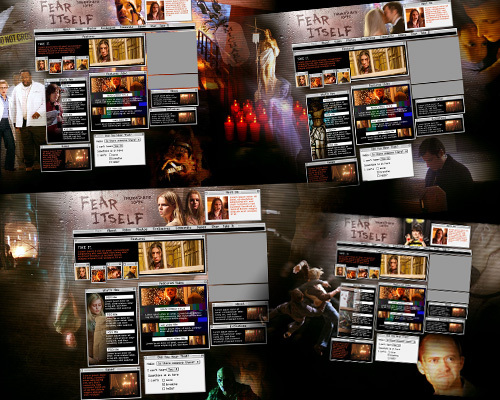 This site was a big project because every week I made a new background themed to the show. Each show was directed by a different horror director, so we wanted to create new spaces for the different directors each week. This sit I art directed involved a fun interactive road map featuring the destinations that the contestants would be driving through. It also featured five games that I animated and designed. This site I art directed and did animation for the new British series. My Own Worst Enemy was a sample comp that I did for the show. Fears Regrets Desires I designed and art directed for a blog. This site I art directed for a reality show. 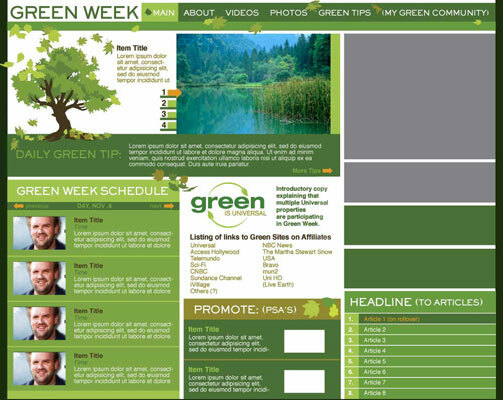 All interface elements were created in photoshop. This was a fun site I art directed for Pale Force. This was a cartoon spin off about Conan O'Brien in crazy cartoon adventures. This was a game that accompanied the webisode for Nowhere Man. I art directed this project as well. Click on the image to play game! 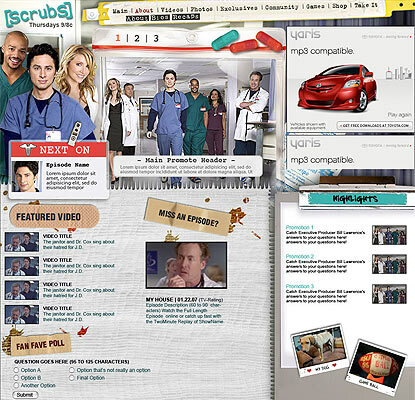 This site I art directed an animated for the show Scrubs. 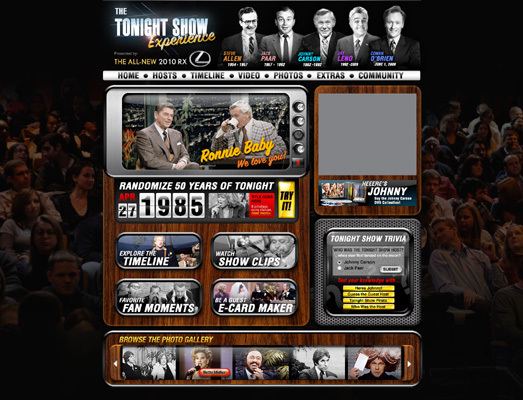 The Tonight Show Experience was a fun project that served as a virtual museum of the Tonight Show, featuring an interactive timeline of tv clips, photos and historical milemarkers of the show. 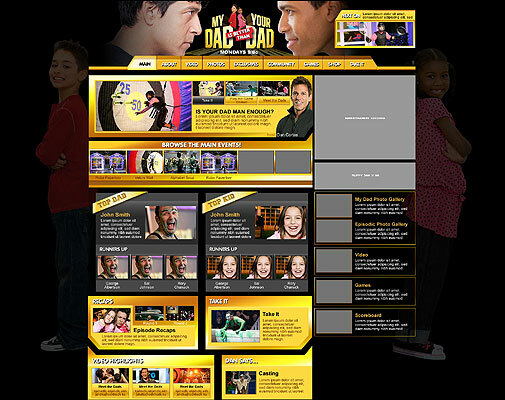 I art directed and designed all aspects of the site. 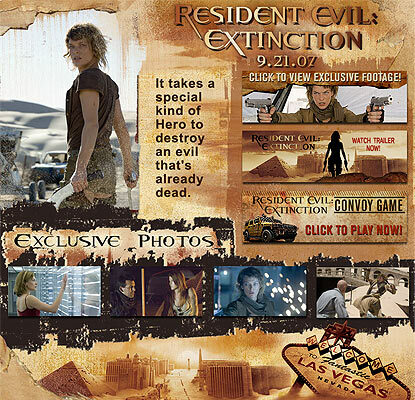 For these projects I art directed the key art for the web campaign. 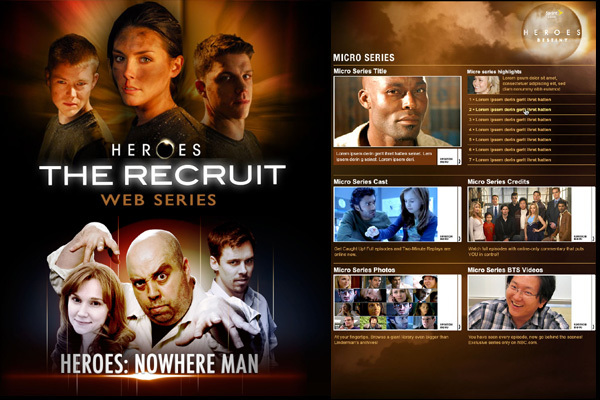 Click on image to view webisodes. 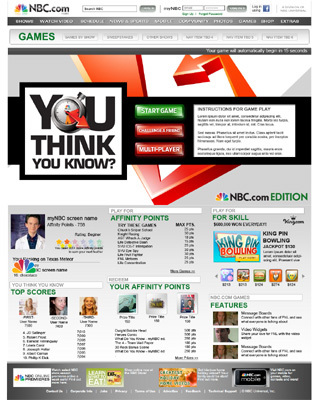 This is a user interface I designed for the You Think You Know Game. 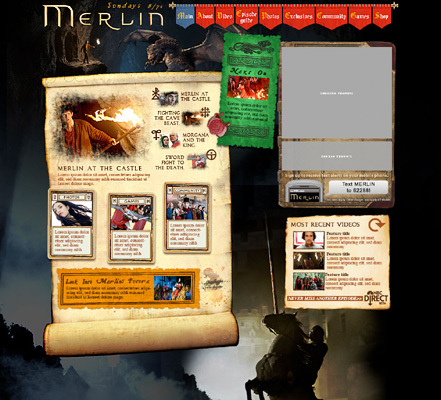 Depicted is a splash page with the logo I designed and the look and feel of the buttons to be used throughout the game.